I’m new to Zentangle but still having fun. A great interpretation of this challenge! Creative, fun way to address this challenge. 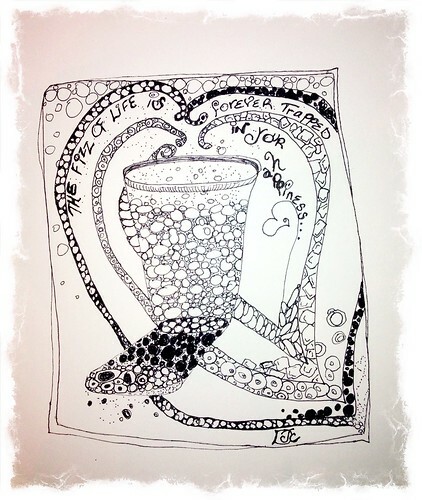 Having fun is what Zentangle® is all about. It is about the process, not the end result. Keep tangling!! You can see that you had fun creating this tile. Very well done. Hope to ‘see’ you here more often! Love your approach to Tipple! fffffrrrrizzy! I have a glass of that! Love your design and use of Tipple.